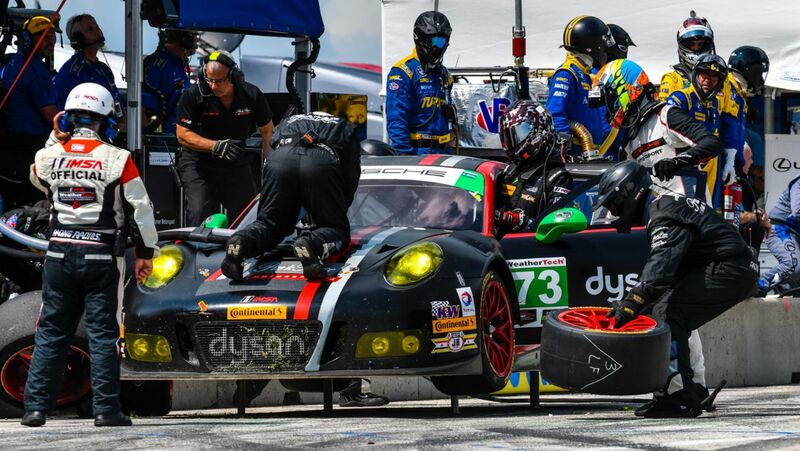 Fielding two new Porsche 911 RSR racers, the Porsche GT Team tackles round nine of the IMSA SportsCar Championship at the Virginia International Raceway on 27 August. 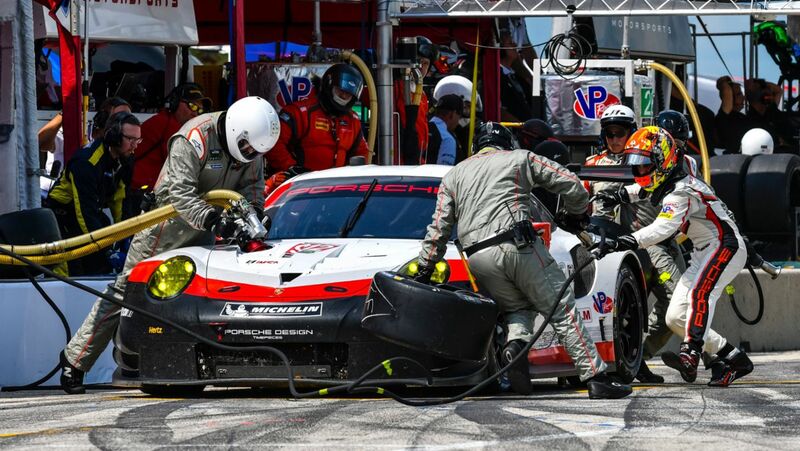 The race car, which faces strong competition in the fiercely contested GTLM class, was completely redesigned by Porsche Motorsport in Weissach based on the high-performance 911 GT3 RS sports car. On 22 July at Lime Rock, the racer scored its maiden victory. 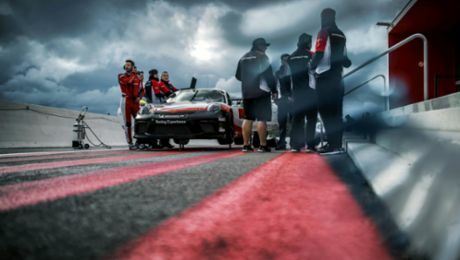 Porsche’s customer teams are also strongly represented on the tradition-steeped 5.263-kilometre racetrack close to Danville in the US state of Virginia, campaigning four 911 GT3 R in the GTD class. 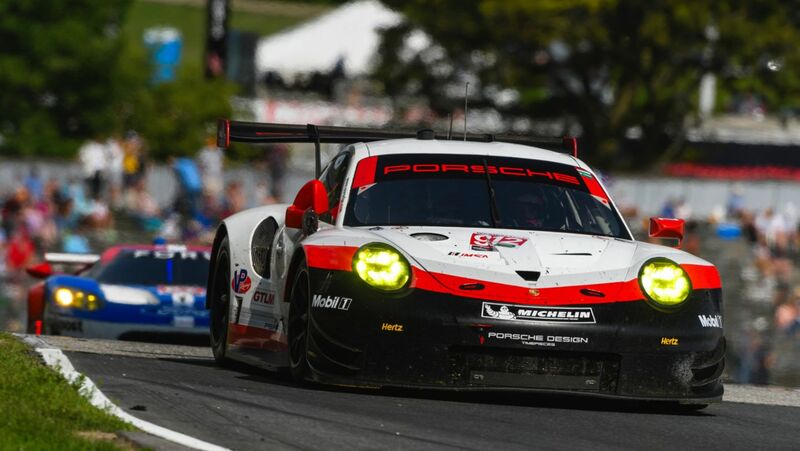 Like at Lime Rock, the prototypes will not contest the third to last race of the season, which means that overall victory will definitely go to a GT vehicle. Porsche legends Hurley Haywood and Peter Gregg occupy a very special place in the eventful history of the Virginia International Raceway: When the first ever IMSA GT race was contested on the circuit in 1971, they won in the Porsche 914-6 GT. As a consequence of the oil crisis, the racetrack on the North Carolina state border closed its gates in 1974. It reopened in 2000 as the first motorsport venue in the USA with full resort facilities such as hotels, restaurants and a wide range of activities for racing fans and their families. 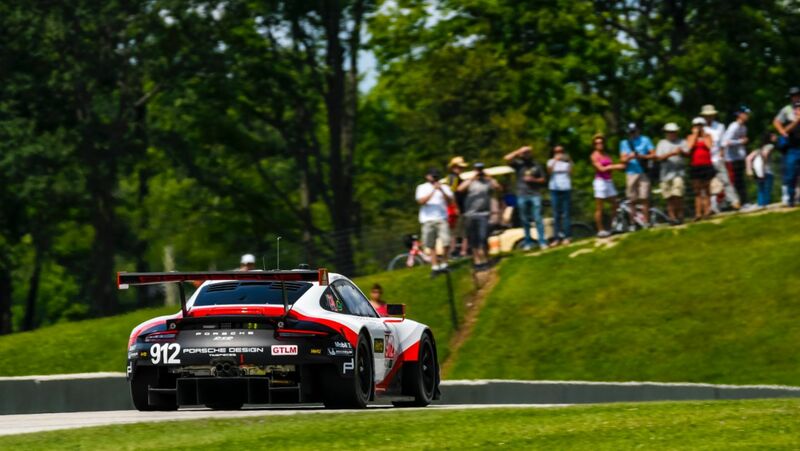 The winners of the Lime Rock race, Patrick Pilet (France) and Dirk Werner (Germany), share the #911 Porsche 911 RSR at Virginia International Raceway. 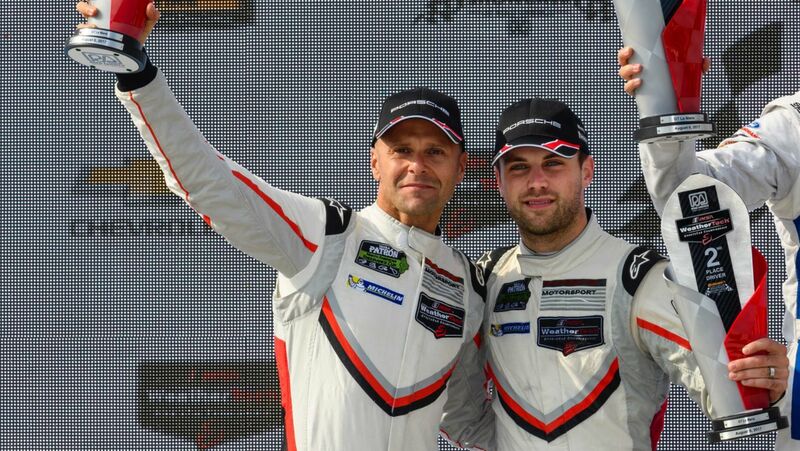 Laurens Vanthoor (Belgium) and Gianmaria Bruni (Italy), who finished second at both Lime Rock and Road America recently, man the second 911 RSR (#912). 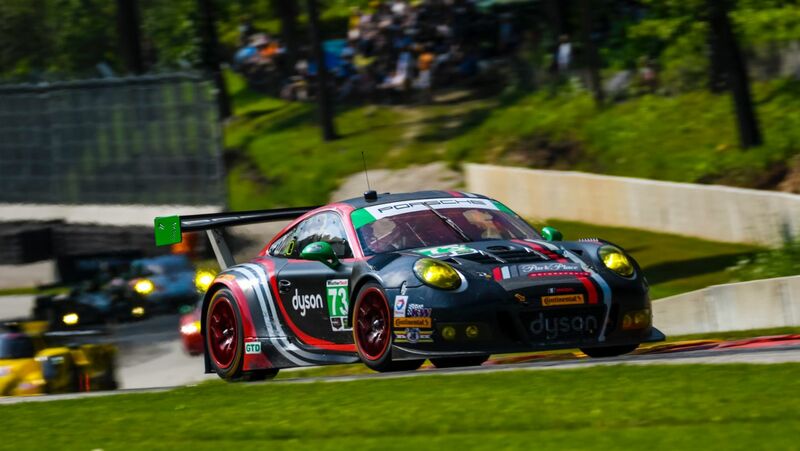 The four customer squads that will campaign the 911 GT3 R are Park Place Motorsports, the winning team from Lime Rock, as well as Alegra Motorsports, CORE Autosports and WeatherTech Racing. Two factory drivers line up to contest the race in the 911 GT3 R: Jörg Bergmeister (Germany/Park Place Motorsports) and Patrick Long (USA/Alegra Motorsports). 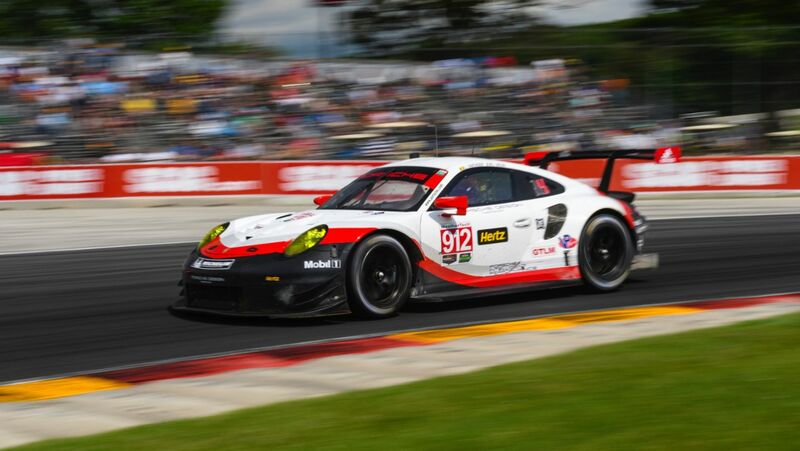 The 911 RSR is a completely new development and is campaigned by the Porsche GT Team in both the IMSA SportsCar Championship and the Sports Car World Endurance Championship WEC. Depending on the size of the restrictor, the motor, which is now positioned in front of the rear axle, puts out around 375 kW (510 hp). The level of downforce and the aerodynamic efficiency were significantly improved. The 911 GT3 R, mounted with the ultra-modern four-litre, flat-six engine with direct fuel injection, was designed by Porsche for worldwide GT3 series on the basis of the 911 GT3 RS production sports car. The more than 368 kW (500 hp) customer sports racer kicked off the 2017 season with a class victory at the 24 Hours of Daytona. The 2:40-hour race at the Virginia International Raceway takes off on Sunday, 27 August, at 13.35 hrs local time (19.35 hrs CEST). Outside the USA, the race can be seen live on www.imsa.com. 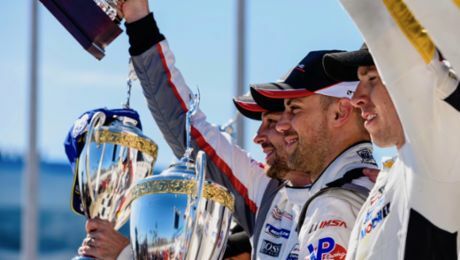 The “Balance of Performance” applies to the GTLM class of the IMSA SportsCar Championship. “BoP” was introduced by the IMSA with the aim of achieving a level playing field for the different vehicle concepts in this famously competitive class, and thus ensure balanced and fair races. It should not make a fundamental difference if a vehicle is powered by a turbocharged or normally aspirated engine, or if the engine is mounted on the front axle or in front of the rear axle. The basic aerodynamic shape of the vehicles should also not play a decisive role. After an initial grading by the IMSA, the performance data of the vehicles are acquired during the races via telemetry – not only lap times but, for example, acceleration profiles and engine mappings. This data input is then analysed and incorporated into the “BoP”. The most frequently used means of adjusting the performance level is through adding or subtracting weight as well as increasing or limiting the engine output through a restrictor or boost. 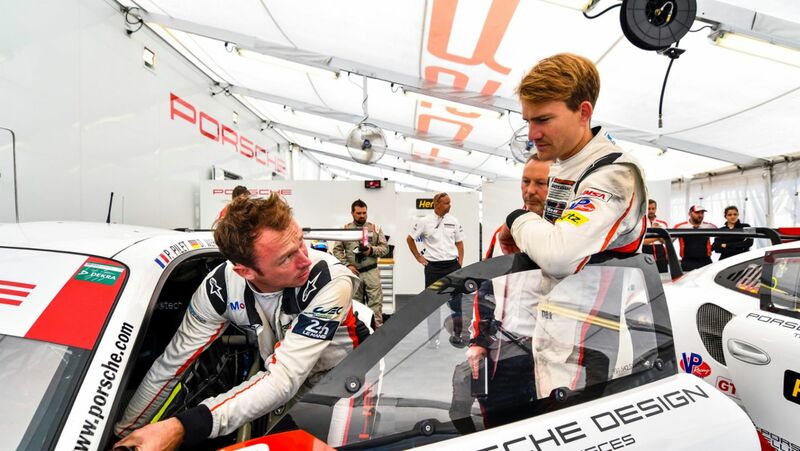 In keeping with the rule-makers’ intention, the key to success on the racetrack is not about the individual potential of a vehicle, instead it’s about the performance of the drivers, the race strategy, a perfect setup or the skill of the team with their pit stops. The IMSA SportsCar Championship is a sports car race series contested in the USA and Canada, which was run in 2014 for the first time. The series was formed from the merger of the American Le Mans Series and the Grand-Am Series. Sports prototypes and sports cars start in four different classes: GTLM (GT Le Mans), GTD (GT Dayto- na), P (Prototype) and PC (Prototype Challenge). 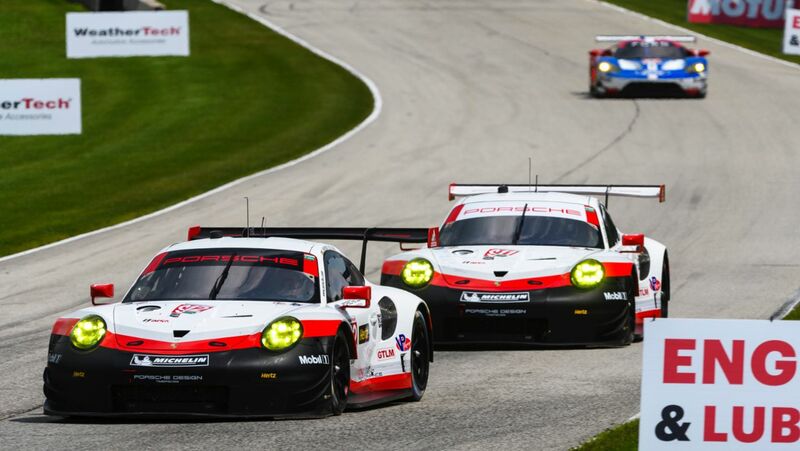 The new Porsche 911 RSR runs in the GTLM class, with the Porsche 911 GT3 R contesting the GTD class.